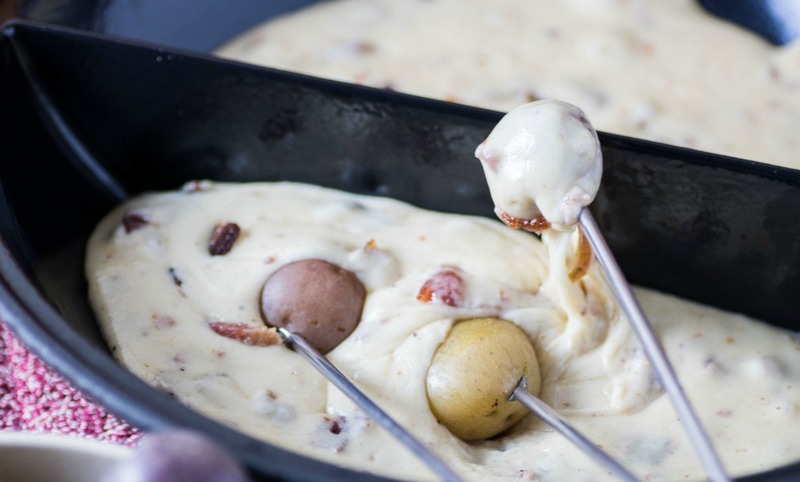 Little potatoes dipped in a creamy, hearty fondue sauce. It’s like having a mini baked potato in every bite! Boil the potatoes for 15 minutes. Combine the two cheeses. Heat sour cream in a large sauce pan until just before boiling. Add a handful of cheese. Stir with a wooden spoon until completely melted. Repeat adding handfuls but melting completely after each addition. Add the pepper, nutmeg, Worcestershire sauce, and dried mustard. Add the crisp bacon and stir. 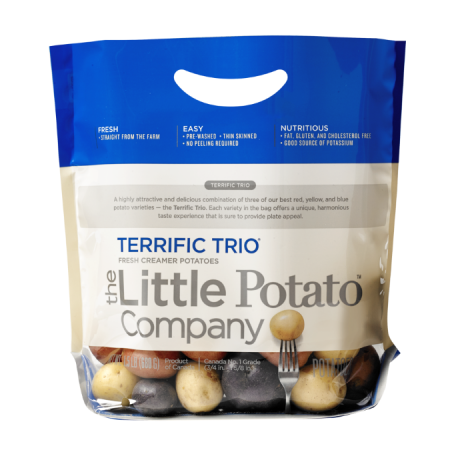 Transfer to a heated fondue pot and serve with Little Potatoes.